We remember the fish we ate in Egypt at no cost — also the cucumbers, melons, leeks, onions and garlic. This verse from the book of Numbers is the only one in the whole Bible where we find a reference to the term “onions”. It features in the complaints of the Israelites, and in those of the foreigners who presumably accompanied them in their pilgrimage through the desert, about their daily diet of mana. They were fed up with it and longed for the food they had had in Egypt. Instead of thinking about the future of hope that awaited them, according to God’s promises, they prefer to look back, cast doubt on God’s promises and rebel against his purposes. 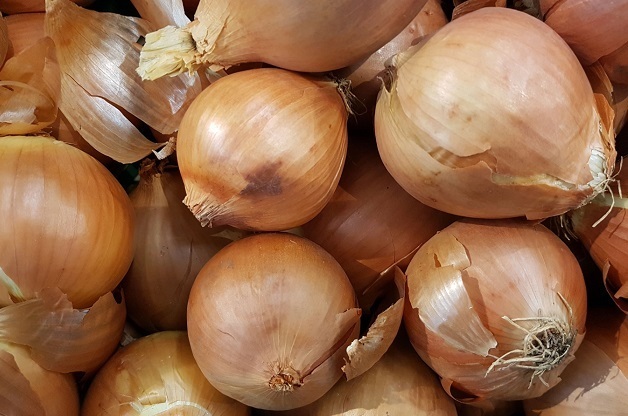 In Moses’s own language, the singular word for “onion” is bétsel, while the plural form is betsalim, which comes from the root batsal, meaning “to peel”. It is translated as krómmyon, and in the Latin Vulgate as caepe. As everyone knows, it is a bulbous plant which can reach a height of 1.5 metres. It belongs to the Amaryllidaceae family, and has been grown by man since time immemorial, as the bulb, or disc stem, is edible. The bulb is large, usually oval or sphere shaped, and is made up of numerous layers, with many small ramified roots coming out of the base of it. It emits a strong acrid smell and it has a sharp, spicy taste. Originally native to Central Asia, it has spread throughout the world. The onion as we know it (Allium cepa) is the most common of the Allium species, but there are other types of onion belonging to this species. Almost all of them produce a substance (propionaldehyde) which causes irritation in the eyes. From a nutritional point of view, it is characterised by its low-calorie value, and high fibre content. It contains potassium, calcium, sulphur and some vitamins, including vitamin C, several types of B and E. Though it is traditionally attributed with numerous virtues and properties that are beneficial for our health, there is no scientific evidence that such benefits actually exist. Onions (Allium cepa) have a time-honoured place in pharmacological and therapeutic tradition. For centuries, they have been used in the treatment of conditions such as asthma, diabetes, high blood pressure, headaches, rheumatism, tuberculosis, typhoid, etc. However there are no reliable scientific data to corroborate these supposed beneficial effects. Ropero, A. 2013, Gran Diccionario Enciclopédico de la Biblia, CLIE, p. 430. Matthew Henry’s Commentary on the Whole Bible (Numbers 11:5-7). YOUR ARE AT: Evangelical Focus - MAGAZINE - Zoe - With you, bread and onions!